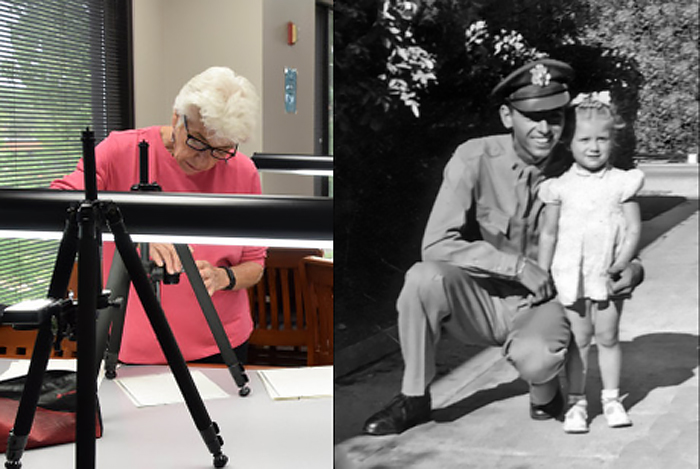 On Memorial Day 2013, Scott Althaus did what he thought every family should do on Memorial Day; he began searching WWII records for his family’s war heroes and MIAs. One of the men he wanted to research was his cousin once removed, 2nd Lt. Thomas Kelly, Jr., who had been Missing In Action (MIA) since 1944. Lt. Kelly served as a bombardier in an 11-member crew aboard a B-24 bomber called Heaven Can Wait. Their mission that day was to bomb anti-aircraft positions on Awar Point at the northwest corner of Hansa Bay. Kelly’s B-24 took fire, became engulfed in flames, and crashed into the water off Papua New Guinea. According to a 1992 letter from W. L. ‘Red’ Tonder, an eyewitness whose plane flew in formation with Heaven Can Wait, the last communication from the B-24 was a salute from co-pilot, 2nd Lt. M. J. McFadden, as the plane turned away. An interest in your family’s war heroes is not that unusual. It is unusual to have the interest grow into a family research project. 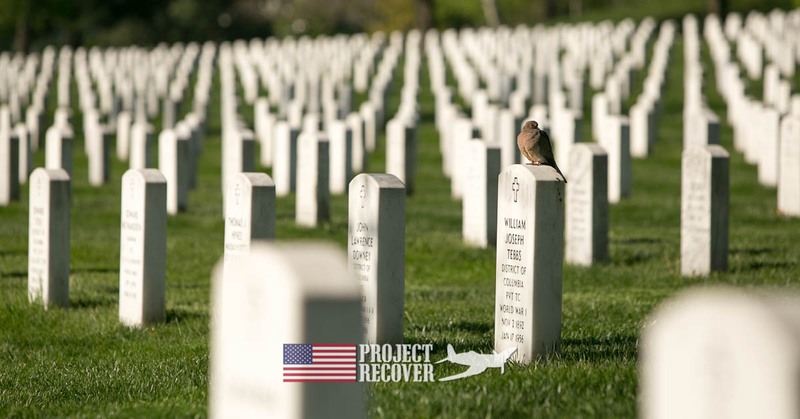 And it is extraordinary to have the project be pivotal in helping Project Recover successfully locate the crash site of “Heaven Can Wait” and the final resting place of Lt. Kelly and his 10 crewmates. Scott Althaus started his MIA research with very little information. He even had to ask his mother for the name of her cousin who’d been killed in action in World War II. His family knew that their relative, Tom Kelly, was a bombardier and that his plane went down during a mission against a Japanese coastal base somewhere over Papua, New Guinea in 1944. That was all they were told, and it was all they knew. As he dug through websites with WWII records and information, Althaus discovered information which led to more information. In a matter of days, he was communicating with others about their lost relative. Before long, he was sending emails out to about 20 family members about this project. 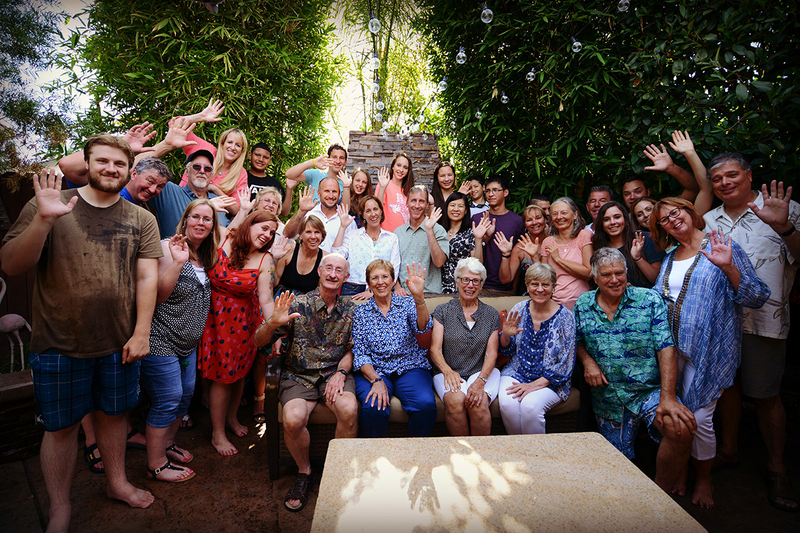 The next year, the family held its first-ever family reunion celebrating not only what they had learned, but how the search had brought them closer together. Like Heaven Can Wait, the Kelly family had a crew of 11, each doing their part to solve the puzzle. This article follows the footsteps of Scott Althaus, whose vision and skill set stewarded the project. 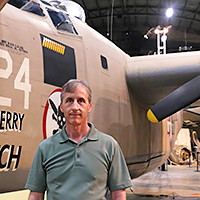 Scott Althaus beside a B-24 similar to Heaven Can Wait. Althaus is a professor of political science and communication at the University of Illinois; a researcher by trade. Where others might hesitate, overwhelmed by MIA research or simply unaware where to access WWII records, Althaus dove in. As with any research project, he began at the beginning. He looked for all the basic facts he could gather about the plane crash that took his cousin’s life. Althaus hadn’t heard of the Individual Deceased Personnel File (IDPF) or Service Casualty Office when he first started his research. They are the starting point when looking for WWII records. The Defense POW / MIA Accounting Agency (DPAA) advises families beginning MIA research to contact the appropriate branch of the Service Casualty Office first. There, they can request an IDPF as well as submit DNA. The IDPF will have information about the MIA, including perhaps their mission, crash, eyewitness accounts, and even personal effects. The IDPF can be filled with information — or not. (Further Reading: How To Research Your Family’s MIA). Four months after starting his research, the Kelly family got the IDPF, the first of several WWII records he would get, on 2nd Lt. Thomas Kelly. It had a case summary and history of the squadron. It didn’t, however, have much of the information the family had hoped for. There were no eyewitness reports or maps. In pursuing the matter with DPAA, they discovered sometimes vital information on downed aircraft with many crew members would be filed under the pilot’s name. The pilot for Heaven Can Wait was 1st Lt. Herbert G. Tennyson. In the beginning, however, Althaus didn’t know about the Service Casualty Office or the IDPF. He began his research in hot pursuit of the MACR. The report, he understood, would have vital information about the crew members, crash details, and maps. Althaus ultimately found two MACRs. One was written three days after the crash, misfiled, and then lost. The other had been written years after the crash as a replacement for the one lost earlier. The Kelly family found the misfiled paperwork as well as its replacement and solved a 72-year old clerical error in the process. With an academic background, Althaus knew there was a broad range of information available if he looked in the right places. He would find both primary and secondary sources of WWII records. He used the following websites and search engines for MIA research. Depending on the resource, he would search by keywords around the MIA name, pilot’s name, aircraft name, aircraft number, or crash location. Then he would meticulously analyze the results for a new bit of information hidden among the old. Each new piece of information was a thread for new information. These are the resources he found helpful. Fold3: Althaus used this website to get access to original military records, including stories, and photos. Many of the records of from the US National archives as well as the National Archives of the U.K. This is where Althaus found the Military Air Crew Report (MACR) for Heaven Can Wait. Google Scholar: Google Scholar is an academic database of scientific publications. Here Althaus found scientific publications that made reference to Hansa Bay. In time, he discovered there had been a research facility on Laing Island studying the coral and mussels in Hansa Bay. This lead led him to underwater topographical maps completed by those researchers. Motivated, Althaus eventually had lengthy conversations with Belgian researchers who had completed 200 dives in Hansa Bay and helped him identify wreck sites in the Bay. Proquest Historical Newspapers: This is a newspaper digital archive. Researchers can be an eyewitness to historical events and day-to-day life decades, even centuries, ago. Althaus searched keywords like Heaven Can Wait and crew members’ names here. LexisNexis: This is a ”database with billions of searchable documents and records from more than 60000 legal, news and business sources,’ according to its website. In a matter of days, the quest to learn more about their relative turned into finding the crash site and the final resting place of Lt. Kelly and his 10 crewmates. This proved to be a daunting task. the ocean is a big place. Without knowing key details, such as the direction of the attack, it would be impossible to narrow down the search sufficiently to locate the downed aircraft. Early on, Althaus learned about Wiley Woods (1923-2015). Woods was a 90th Bombardment Group veteran and unit historian. He wrote and published the day-to-day history of the unit, entitled Legacy of the 90th Bombardment Group: The Jolly Rogers. Woods carefully documented and assembled all of the information, reminiscences, and documents into a 64-volume set which is housed at the University of Memphis. It was a treasure trove of WWII records. Woods had the foresight and determination to make this information accessible. Toward that end, he had entered all of the information into a database and cross-referenced every person’s name, place, or organization name with the volume and page number of the 64-volume set he had shelved with the University of Memphis’s rare book collection. Among these WWII records, they found the most definitive information on the plane’s direction of attack from this trip. An attack in a southward direction helped the family identify three priority locations for the crash site. The aircraft was found in one of those locations. The diary entry is relatively unremarkable on its own. It is only within the context of months and years of research, scouring hundreds, perhaps thousands of documents, maps, and images, that this entry reveals its golden nugget. On May 30, 2016, practically three years to the day since he began the project, Althaus sent an excited email to his family. In it, he tells his family the news. Then he goes on to explain how the sentence “It got over Hansa Bay before it blew up” cracked the code for the family’s mission. His next paragraph details what he’d learned, what he’d thought, and how that evolved with each new bit of information. The family had sent him 800 puzzle pieces, and he had finally found the one that held the solution in a code he could crack. With so much information coming in, Althaus knew it was essential to develop a system to maintain and reflect the accuracy of the information as well as to organize the WWII records and access the information they decided was valuable. The family research team consistently recorded each detail verbatim with citation as to where the information was from. Althaus developed a numeric system so that each detail was given a 4-digit code where the first digit indicates the type and credibility of information. Althaus and the family team developed the following structure for organizing the information. The family referenced all excerpts in Appendix A, copies of the full documents in Appendix B, and maps and photos in Appendix C.
In June 2016, a family member contacted Althaus to let him know that she had reached out to BentProp independently to see if we could help with their search. Althaus had heard of BentProp through NPR and 60 minutes. He’d read Wil Hylton’s book Vanished focusing on their search for a B-24. Still, he was under the impression that BentProp’s work focused solely on the Republic of Palau and did not make contact. Less than two weeks later, Althaus was on a Skype call with Dan O’Brien and Colin Colbourn from BentProp. BentProp is a founding member of Project Recover. For the better part of a year, Althaus gathered and organized all of their archival records into an integrated report. Nearly a year later, he’d finally loaded all the archival documents. A couple months after that, he finally completed the integrated report which he turned over to the Project Recover team. That was the end of July. BentProp and Project Recover were heading on a three-week mission to Papua, New Guinea in October 2017. Five months later, the Kelly family received the news that their MIA Research had paid off. The B-24 Heaven Can Wait had been found in Hansa Bay submerged under 200 feet of water. As of this writing, the Kelly family’s MIA research project has been 5 years in the making. 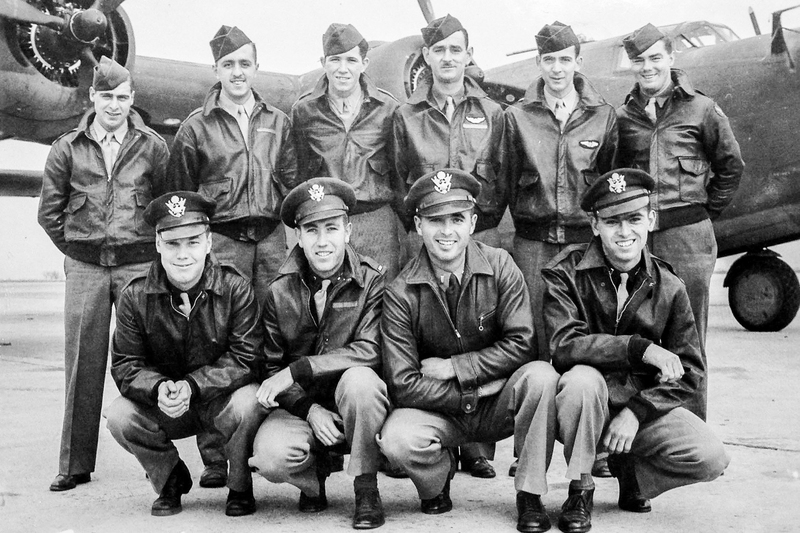 Their efforts have proved fruitful: the B-24 carrying 2nd Lt. Thomas Kelly has been found. They have been in touch with nine families of the ten other crewmates. 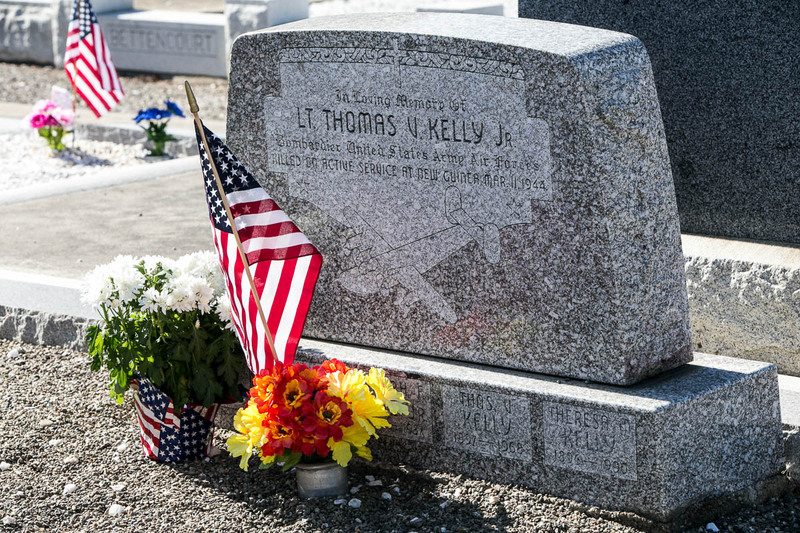 The Kelly family attended a Memorial Day Service to commemorate Tom Kelly and to celebrate the incredible news that the plane has been found. It isn’t over yet though. The family’s next goal, however, is to bring Tom home for a funeral at last. The Kelly family wants to bury him beside his parents under a stone his parents’ erected awaiting his return. Upon locating the B-24 crash site, Project Recover turned all of its information over to the Defense POW/MIA Accounting Agency (DPAA). The DPAA is responsible for all decisions and action regarding recovery, identification, and repatriation of remains. Throughout the MIA research, there was plenty of wait-time, but Althaus and the team didn’t wait. They emailed, followed leads, cultivated resources, culled through documents, organized their data, and wrote the final report. While the Kelly family continues to make contact with the families of other fallen crewmates, there is finally little left to do, but wait. The Kelly family looks forward to DPAA’s decision. Hello Joy, someone will contact you, via email, from Project Recover soon. Hope we assist. Thank you for this. I just now found it. Bless you. You are welcome. Keep us in your thoughts. So thrilled you are on a similar search for your loved ones. Our family is now in contact with living relatives of 9 of the 11 crew members, and we are having a “Heaven Can Wait” family reunion in MN this October. If we can be of any help/encouragement to your family please let me know.